I know, I know, there are quite a number of us here for whom the previous year was fraught with dampened expectations, punctured dreams, heartbreak and betrayal. I have a fair idea of what it feels like; I spent a chunk of 2017 popping Fluoxetine and Quitiapine, and I “coincidentally” lost a job one month after opening up to my struggles with depression. I lived out of my suitcase for six weeks, waking up next to warm bodies in Calabar, squeezing my six-foot frames into Nissan Micra taxis in Ibadan, and rolling on large dusty mattresses in Port Harcourt. I was ignored by people from whom I expected support, and I overdosed on Haloperidol, but I’m still here, I’m still here. I want you to remember that Hope is a verb, and that Optimism is a noun that still exists in dictionaries. There may be a large volume of uncertainty as one year gives way to another, and you really can’t be blamed for that (for some, seeing out each day was tasking enough), but I want you to remember that Hope is a verb, and that Optimism is a noun that still exists in dictionaries. In 2018, I hope you find peace, I hope waves steer you to shores, and I hope that the darker rooms of your mind find light bulbs that last significantly longer. I hope you find love, and if you have, I hope that you sustain it. Never lose sight of the fact that every emotion of yours is valid, and you have the right to be vulnerable, to be sensitive, to be intense without apology. If he is not comfortable with it, if she tries to stifle you, don’t be afraid to take a walk. I am all too aware of how helpless you can be when trying to hold on to love, and how hard it is to resist chasing after yesterday, but this year, I hope that you learn to move on and get over, I hope that you learn to attach premium value to your feelings. I am not oblivious to what it means when someone has you wrapped around their finger, but you deserve the one who wants to be with you everywhere (ok, almost everywhere, to avoid a restraining order), you deserve moments that are the stuff of dreams, and there’s need for you to stop having your heart dragged around. Sure enough, no one owes you anything, but I hope you run into people who’d be willing to help you with no long talk, I wish that this is the year you finally get it together, and I hope you come to terms with the fact that you can’t have everything (godliness with contentment, or something like that). I hope you recognize fake love when it is swung in your face, I hope your lives get entangled with people that are worth the sacrifices you have to make, yea, I hope Life finally allows you to find your rhythm in 2018. Much is made about worthy causes and progressive movements, but I hope that “group think” does not erode your mental faculties, I hope that you don’t shelve the values you hold dear in the name of being “woke”, heck, I hope that you get to have a mind of your own in 2018. Here’s hoping that you avoid needless drama, and here’s hoping that your decisions are well advised, so that those who detest you would find no opportunities to kiss their teeth on your account. True, not everyone attaches importance to the hype and anticipation that comes with another January, but I like to think that the calendar deserves its respect…and in all this, I am convinced that Someone is watching over us, so (for those who believe) feel free, send shout-outs to Him! Here’s to adventure and memory-making in 2018. Written by Jerry Chiemeke who is a lawyer, screenwriter, writer, editor and a critic and writes at JerryChiemeke.com. I came acrosss the inspiring post above on one of the groups I am in, and requested Jerry for permission to share it here with You guys. I never thought I needed help, even during my darkest moments. To me, it was no one else’s business and I could take care of myself as I saw fit. The problem is, when you’re cutting up your body and someone finds out, it soon becomes everyone’s business. I started feeling depressed and harming myself when I was 10 years old (I’m 22 now) and although I didn’t have any real identification for what I was feeling, I knew it wasn’t something that everyone dealt with. I kept it a secret until I got to high school but as my stress levels rose, so did the frequency of my cutting. It was both a freeing and a damning sensation but I couldn’t get enough of it. I had my reasons, depending on the day. Sometimes it was because I felt completely numb and other times I felt that I needed to be punished for some trivial matter which really wasn’t my fault at all. It was a release of all my anger, frustration, and pain. It gave me something tangible to focus on and to be involved with. 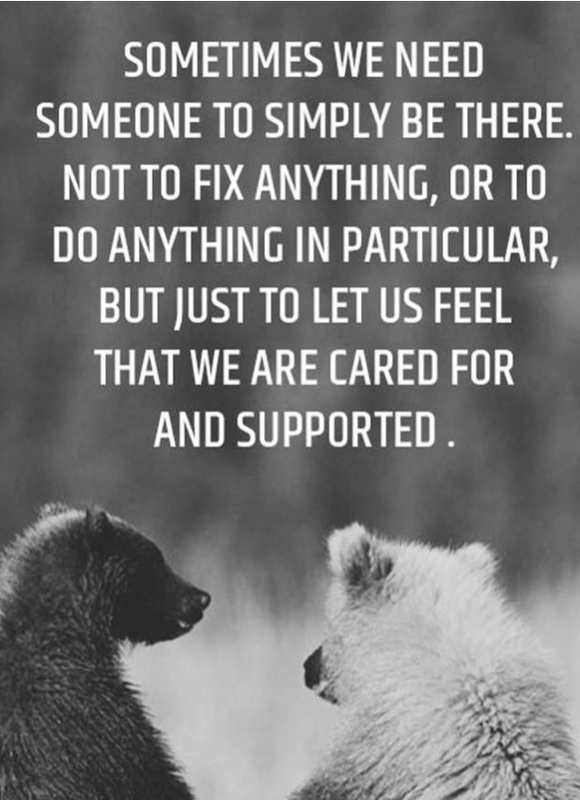 Eventually a friend that I trusted pressured me into admitting what was going on but I figured life would continue on as normal, at least my version of it, and it did… Until the day I got called into the counseling office. I knew immediately what had happened and my worst fear had been confirmed. The school knew about my cutting and called my parents. From that day on it became an even more difficult battle with my depression. My parents didn’t understand, my friends didn’t really understand, and eventually it became too much and I gave into the blackness inside my soul. That’s how I ended up in the hospital the first time. Once I got out about a week later, it seemed that everyone in school had some sort of theory and the bullying I had previously experienced soon doubled based upon the idea that I was the “crazy” girl. My cutting got even worse, to the point where I tried hurting myself underneath the cafeteria table at lunch time. How desperate… How addicted do you have to be for that? I was in a dangerous place and soon enough, I was admitted to the hospital again for 2 weeks this time. Luckily, I had some friends who stuck by me and that’s what kept me sane and safe once I got back to school where the bullying tripled. High school was extremely hard for me and I constantly felt as though I was at the bottom of a deep black hole that just kept slowly crumbling down around me, bringing me further and further into darkness. Once I got into college, things improved for a little but I soon stopped going to classes and couldn’t bring myself to care that I was failing. After multiple panic attacks and one really bad cut, I knew I needed to move back home andwork harder on my wellbeing. The feeling of utter hopelessness is something that cannot even be described. I was lucky to have found a therapist I adored and was put into group therapy with two leaders I absolutely loved. My parents took the time to learn more about my conditions and began to understand me more and work with me in more helpful ways. Recovery hasn’t been easy. It took years for me to have more good days than bad, and I even managed to quit cutting for 2 and ½ years (I did mess up once a couple months ago during a horrible fight with my boyfriend but no one is perfect). It is a battle still. I won’t say that everything is peachy all the time, but I know now that things can be okay and that they can get better. I try to look at the little things because they are always there, you just need to find them. The darkness still hovers around me sometimes and I know that I may fight this for the rest of my life, but I know the good outweighs the bad, now. If I had ended my life when I tried to those times, there is so much I never would have experienced and I always remind myself of that. You can do it too. If I can and many others can make it through, then I know you can too. There is always a reason and there is always hope. You just need to find it. This week’s story was submitted by Clare of DestroyedRazors.com. She was diagnosed with Major Depression, Panic Disorder, and Generalized Anxiety Disorder while simultaneously fighting an addiction to self-harm. As her tag line says, Her blog is For fighters, survivors, addicts, loners, the hopeless, the hopeful and all those in between. Yesterday, I posted a poem about “truth being a bitter pill to swallow” which was inspired by an event that occurred with my sister. I rarely share the inspiration behind my posts, but this time, I want to make an exception. My sister and I were conversing and she pointed out a certain flaw I struggle with; of course being me, I got defensive. It wasn’t until later on that I realized what she was trying to say. She wasn’t condemning me, merely stating a fact. Now, this certain flaw is something once I became aware of, I try my best and go out of my way to overcome it. I am not where I want to be in regards to it, but those who matter in my life know, I have come a long way from where I was. They know I try and If I was a zero few years back, I am a 6 now. Which even though is not a 10, it’s certainly better than being stuck at that zero. We all have things we struggle with and traits we’d like to change, but the truth is- knowing our flaws and overcoming them are two different things. It’s not enough to say “okay I know that”, we’ve got to try to change it. Now I realize, there is no need to get hot headed over certain things. Change is a gradual process which doesn’t happen overnight. The fact that we are trying makes all the difference and those who matter in our lives know it. -Time changes everything. That’s what people say, it’s not true. Doing things changes things. Not doing things leaves things exactly as they are. Just thought I’d share an event which inspired me this week for Writer’s Quote Wednesday. Before I reveal my theme for this year’s A-Z challenge, for those of you who Aren’t aware of what its about, here’s a little info. The A-Z challenge begins from the 1st of April to the 30th. Each day except Sunday’s (which is our break for being good and writing all week), we share a post whose title begins with a letter of the alphabet. On April 1st, we write on a topic beginning with A, on the 2nd “B” until the 30th which is rounded up with letter “Z”. My theme for this year is : Poetry and Prose. Last year, I participated unofficially (without signing my name to the list) using the “poetry” theme. It was a challenge to write a poem everyday especially when it came to certain alphabets, but it was fun and a learning experience. Got me to push my boundaries and that’s why I am participating again this year. But this time, I do want to be prepared which is where I need your help. A-Z begins in ten days, during which i’d be writing my finals and immediately afterwards, would be moving out of my Apartment and into a new one, and then traveling. I know, wrong timing. I have a feeling, my inspiration well wouldn’t be too juicy hence I need some push. I’d really appreciate it if you can recommend words for me, from “A-Z” that I can write about, phrases or even links to posts and pictures that I can use an inspiration. I want to see if I can schedule some posts before hand. I am not too sure about the Internet connection when I do travel. Now, that being said, so far I know three bloggers who are participating- Yinglan (who’s theme is on quotes), Life as a potpourri , Doc2Poet (his theme is also poetry), Simply Poetry (her theme is forms of poetry around the world) and Ellespeth. If you are participating in the challenge, please let me know so I can include your link here. And that way, it’d be easier to atleast find one another. P.S: looking forward to hearing your suggestions.